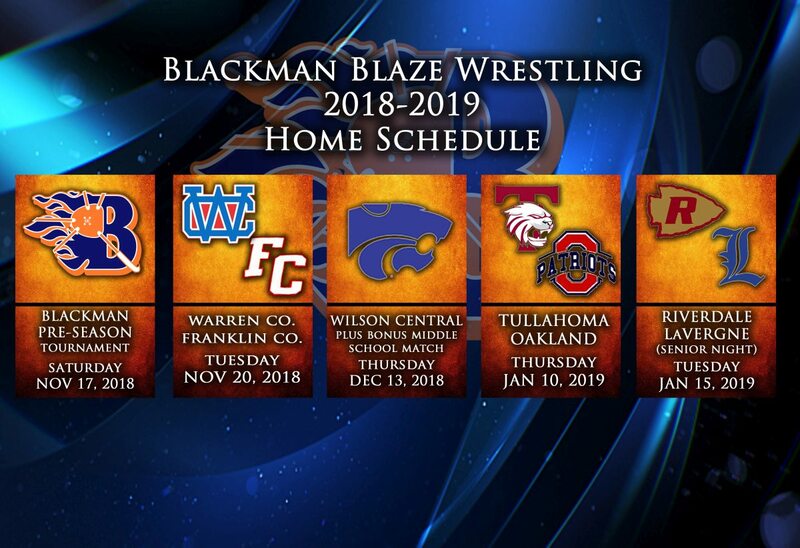 Blackman’s head wrestling coach, Ronnie Bray has finalized the schedule for the 2018-2019 season. It’s going to be another exciting year for Blackman Wrestling! Blackman will once again participate in several quality dual and individual tournaments. Getting strong competition during the season is a requirement if the Blaze expect to best last year’s 9th place finish at state. Once again, the Blaze will compete at the Memphis area Stewart Schay Black Horse Invitational in early December. This early individual tournament is always filled with quality teams and getting tested early lets everyone know where they stand so tune-ups and adjustments can be made. 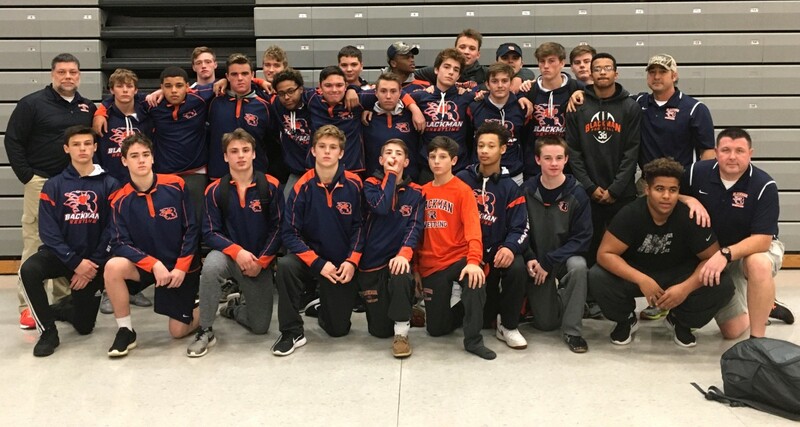 Blackman will also travel this season to Henderson, North Carolina for the War Eagle Duals. It is always fun to travel out of state and here the Blaze will face several tough teams from NC and GA. Last year, Blackman went out of state and won the Oak Hill Duals in Cincinnati, OH. Blackman will also compete in the Bradley Invitational, the Wildcat Invitational at Wilson Central, the G.P. West/Bruin Invitational, the Dogg Pound Duals at Smyrna and the Halls Invitational out in Knoxville. If that isn’t enough, Blackman starts the season on November 17th with the Blackman Pre-Season Tournament. There will be a ton of great wrestling to kick things off this season. There will be other opportunities to catch Blackman at home as they will have four home dual dates this season. The highlight of those will probably be Blackman vs Wilson Central on December 13th. Before the varsity contest, the Blackman Middle school wrestlers will take on the West Wilson Wildcats. It will be a great event!! If you can’t find the Blaze this wrestling season, you better get to an eye doctor! Blackman will have a talented squad again this season so get out and catch a match! !